Uprise were employed to demolish an existing petrol station and car show room and construct three new blocks of flats containing 14 flats. The works consisted of ground remediation, piling, ground beams, beam and block floors with a gas membrane, brick, stone and block walls with precast concrete upper floors and stairs and a trussed rafter roof. Photo voltaic cells were also installed. 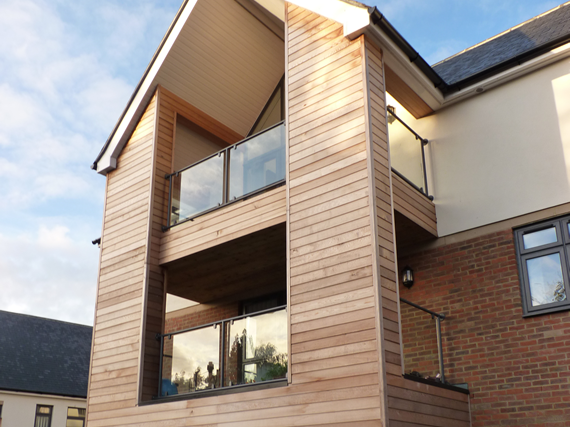 External cedar cladding and render was used to break up the elevations. The external works consisted of forming a new car park and general landscaping. The building won the Ashford Borough Council Building Design Award for Best Residential Development 2012.